I grew up in a neighborhood where the most common girl name was Diana. I never quite figured out why the name was so popular until in 1997 when I heard my parents talking about the death of Princess Diana". From their tone, I could tell they were sad about her demise. They had never met her, but they loved her. As I became of age, I was compelled to find out who Princess Diana was. I eventually came across a picture of her in a borrowed magazine and was awed by her impeccable beauty. She was, to me, an image of perfection. Her sense of fashion was out of this world. I remember cutting out her pictures form the magazine and hanging them on my bedroom wall using chewed gum. To me, she was everything that I needed to become. As I continued to learn more about Princess Diana, one particular thing struck me; her empathy and concern for other people. The woman that I had admired for so long was not only beautiful on the outside but on the inside as well. She lived her life to make a difference and leave a legacy that lives on. 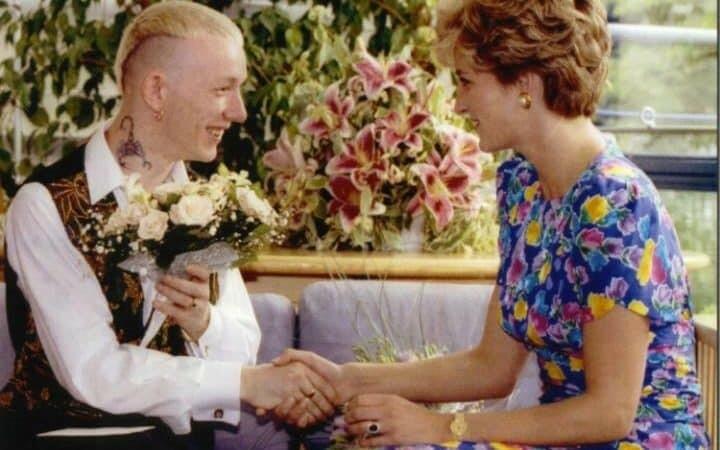 Irrespective of her royal status, Princess Diana was open to interacting with people who were socially considered outcasts. A famous picture of Diana shaking hands with an HIV positive man created a new perception of sufferers of HIV. She reached out to AIDS patients at the time when they faced intense stigmatization. To date, the Princes of Wales is remembered as one of the most important figures in the fight against AIDS stigmatization and the first British royalty to make physical contact with AIDS patients. One famous quote from her interactions with HIV patients has remained alive to date. The quote "HIV does not make people dangerous to know. You can shake their hands and give them a hug. Heaven knows they need it" serves as an important reminder to stop stigmatization and to support people living with HIV/AIDS. She opened the Landmark AIDS center, an organization that provides support and treatment for HIV positive people. Opening this center brought help closer to AIDS patients and increased their chances of living longer under medicated care. Diana also served as a patron to numerous charity organizations that promoted humanity and environmental conservation. Amongst her patronages are Landmine Survivors Network, British Red Cross and Help the Aged. 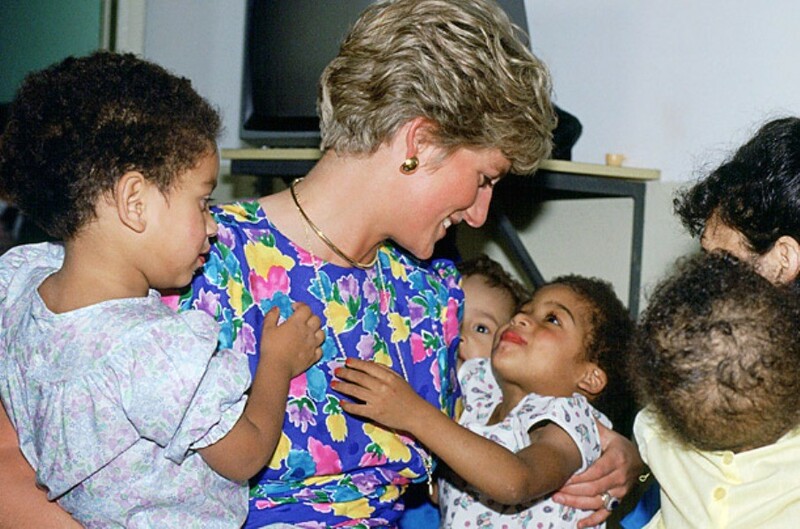 Princess Diana visited sick and dying patients. She was often photographed comforting them and gently getting to know them. She immensely cared about children and supported the Chester Childbirth Appeal in raising 1 million pounds. In 1995, Princess Diana visited a children's hospital in Moscow where she provided them with medical equipment and interacted with sick children, holding them and comforting them. Diana did a lot to minimize the stigma that came with diseases such as cancer, leprosy and HIV/AIDS. Whenever she stroked the limbs of a patient suffering from leprosy or hugged an AIDS patient, she sent a message that reverberated throughout all the corners of the world. She served as an example of social inclusion and selfless living. Diana did not stop at caring for people. She actively took part in environmental conservation, fighting against the use of landmines and for better animal protection rights. Her fight against the use of landmines was smeared with a lot of controversies, with many accusing her of meddling in politics. She soldiered on in her fight against the use of landmines even though this made many people very uncomfortable. As part of her fight against the use of landmines in wars, she served as a patron for HALO Trust, an organization that focused on removing debris left behind by war in specific landmines. Her efforts in fighting against the use of landmines eventually bore fruit when she managed to raise awareness on the harm done by landmines. Her utmost intent was to protect the environment for future generations. The most admirable thing about Princess Diana is the fact that she lived not for herself, but for the people who needed her. She went against the rules of royalty to interact with common people with uncomfortable situations. In this regard, I consider her not only the Princess of Wales but also a Global Princess. In as much as having royalty in one's blood often determines one's destiny, Diana was able to step out of what was expected of her and to expose herself to the real problems faced by people outside the palace walls. She was determined to make a change and to leave the world better than she had found it. Diana took control of her own ship, disregarding her royal status and the disapproval of the royal family. She knew in her heart that if she were to make a worthy change, she needed to make it where it was needed the most. Diana had a heart of gold. She took the road less traveled and created a beautiful journey. She never tried to validate her status as a member of a royal family but rather took it upon her to validate her humanity by extending a helping hand to people that needed it. 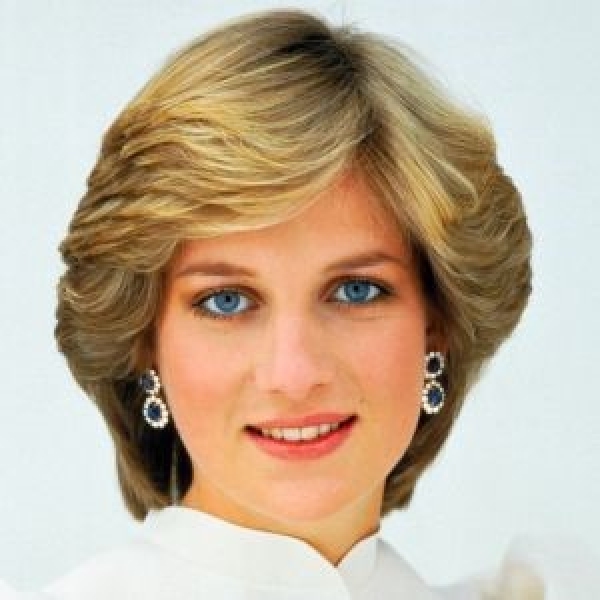 Over the years, I have heard a plethora of information about Diana, some good, some not so good. Despite everything that I have heard and read over the years, Diana remains an icon to me, a gem that can never be replaced. She played a huge role in bringing humanity together and in breaking down the social boundaries that people had put up over the years. When I was younger, I would always tell my dad that I wanted to be Princess Diana when I grew up. Back then, I didn't understand that it took royalty to become royalty. Today, I understand that it's impossible to become Princess Diana. It's, however, possible to borrow the positive aspects of her life- her love for people, her simplicity and her love for the environment. To me, Diana was perfection personified. I adore her relentless spirit and her unconditional and selfless love. This is my tribute to Diana - The Princess of Wales. What a beautiful and amazing woman.Princess Diana gave so much of herself, her time, her heart ♥. We need more people to care as she did.In today's society we are in desperate need of compationiate people.There will never be another like Diana. I never knew her personally, but I feel that I did, she was that kind of lady.The world was a better place because of her!!! !